Like its predecessor the Vodacom Smart Kicka, the Kicka VE doesn't come filled with every app/feature under the sun. However, for a budget device aimed at both the younger and older markets, the phone packs plenty of interesting and relevant features. All this adds up to a relatively complete package, one which Vodacom has begun to specialise in with their range of ‘Smart’ devices. The phone's hardware is more than adequate for the occasional browsing of social media and listening to music that prospective users will enjoy. Thanks to its Android base as well, most familiar apps are available, and non-graphic intensive titles like Angry Birds should run with relative ease. 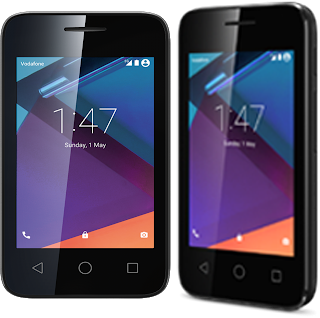 The 3.5-inch 480×320 (HVGA) screen is powered by a 1.0GHz dual-core SoC and 512MB RAM, shouldered by 4GB onboard storage. There is a solitary 2MP camera, and on the top is a 3.5mm audio jack. Inside the phone, we have a 1 400mAh battery, a single SIM card slot as well as a microSD card expansion slot. Design: The device's tapered edges fall away, mirroring the curve of the hand, which, when combined with its compact form, make it a very comfortable phone to handle. Listening pleasure: With the headphone jack up top, listening to music with the phone sitting the right way up in a pocket is an often overlooked bonus. The built-in speaker is more than adequate for listening to music aloud or taking a speakerphone call. Appy days: The handset is pre-loaded with a gaggle of Google apps that should satisfy users who aren’t incredibly keen to dabble with aftermarket downloads. Plenty of juice: The battery life is standard with this size/type of phone, meaning that you should get a fairly impressive lifespan (two to three days) before requiring a charge, provided you are not doing any heavy browsing. Nifty hotspot: Perhaps the greatest little weapon in the tiny arsenal is the WiFi hotspot feature (courtesy of Android, mainly) that broadcasts the phone’s HSDPA+ signal via wireless. Camera: While the 2MP camera won't blow you away with its images, it can still deliver crisp, clear pictures that are more than adequate to share online with friends.